Humanity is in hiding. Invention, progress, change... all are forbidden. Now it's time to change all that. The science-fiction epic of the decade begins here. 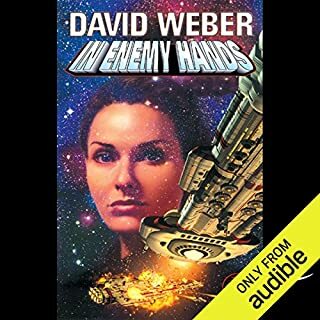 David Weber once again creates a whole universe. developing characters and atmospheres with his usual great detail. 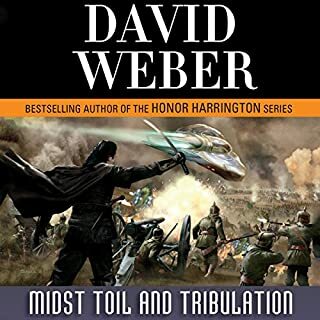 I admit to bias - I will pick up a David Weber book without glancing at the dust jacket to see what its about. Off Armageddon Reef does not disappoint. Set in a completely different universe from his other books, its a study from multiple political, scientific and religiuos viewpoints of the emergence of a medival/renaissance level society to industrial age sophistication, set against religous strictures forbidding the change - with good reason - but flawed execution. The characters are well drawn - even the bad guys aren't all bad. 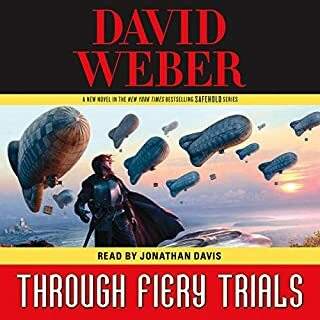 As always with David Weber, you have to be willing to sit through detailed descriptions of how the technical stuff works. If you are the type that skips that part to get to the action, you may find yourself hitting fast forward occasionally. I found that listening to the descriptions was actually easier than reading them and ended up listening and Not skipping over the technical stuff. The narrator sold me on this book. This isn't the type of book I normally read, since it's pretty heavy on politics and warfare strategy. However, I was intrigued by the premise of a female's brain in an android's body, surviving her actual body and trying to right the wrongs of decades past. The name of Merlin intrigued me too. I'm a Merlin fan. 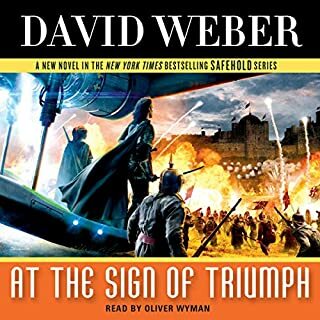 Once I started listening to the audiobook though (I originally borrowed this audiobook from my local library), I was completely sold on the story due to the dynamic and wonderful reading by Oliver Wyman. Scenes which, when I read them in a book are dull and tedious were brought to life in an entertaining manner. I don't think I would have enjoyed this book if I'd tried to read the paper version. 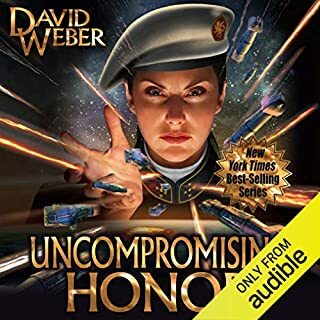 Listening to it narrated here though, it was a fantastic mix of technology, slight of hand, and derring-do mixed in with the politics and strategizing. When I'd finished, I was really looking forward to the next installment. 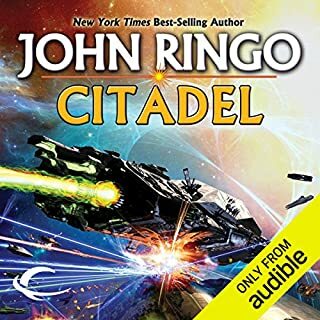 This book was a fantastic listen. I'll be listening to it again soon. 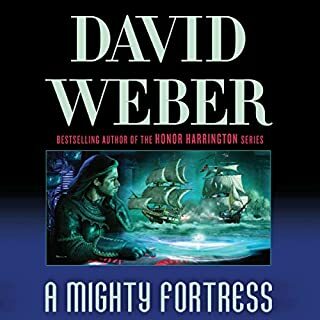 I'll admit it: David Weber is one of my guilty pleasures. 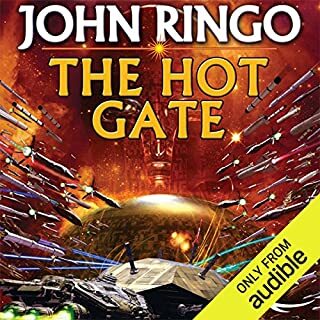 I've read or listened to every one of the Honor Harrington books and associated spin-offs. Some of the action sequences in the Safehold series will strike Honor Harrington fans as very familiar. I'm surely not the only one to notice that space battles 2000 years in the future bear an astonishing resemblance to eighteenth century naval battles. 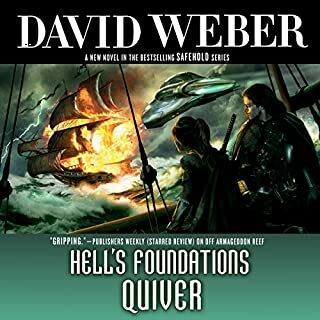 In the Safehold series Weber has brought the naval broadside back to its original vehicle, the cannon-armed sailing vessel. 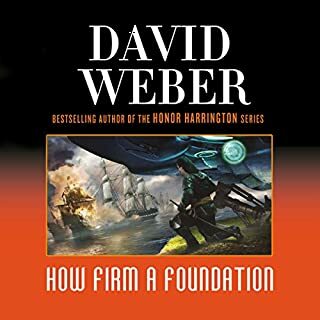 Weber has also come up with a very clever device to allow him to get away with countless allusions to and outright absorption of mythological, historical, and literary sources. After all, we are told, the whole religious canon of the world of Safehold was plagiarized from terrestrial originals. This makes the author's occasional lapses of originality (how many times does one need to hear the line, "Here I stand, I can do no other"?) sound arch and meta, rather than hackneyed. It works. At the time of this writing the series is up to six rather long books. I won't review the rest of them, except to say that while they sometimes drag, I'm still looking forward to the next. 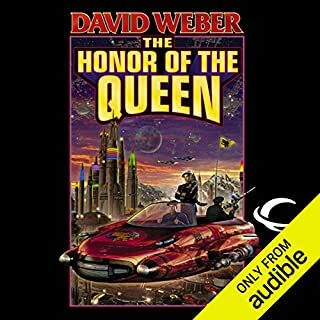 JEWEL OF CONTEMPORARY SCIENCE FICTION!!!!! I'VE BEEN AVOIDING THIS BOOK SERIES. I didn't even read the summary, I didn't like the name of the books or the book covers. But last year I decided to give it a try and after 30 minutes I was in!!! One week later I finished the fifth book, the last one released at that moment. 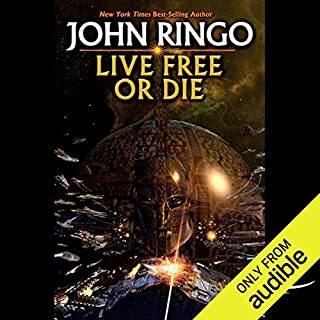 As always there were some negative and annoying moments but overall I consider this book to be a MASTERPIECE of CONTEMPORARY SCIENCE FICTION!!!!! The biggest negative part is constant changing of narrators!!!! Please stop doing it!!!! It's annoying as hell. This is a long book, in a very, very long series. I almost didn't continue after the first couple of chapters, but I'm glad I did. It grew on me. The slow beginning is necessary in order to set up the Safehold world. I enjoyed the story as it began to grow, and introduce the plot. It's a slow moving book, with a lot of moving parts to keep track of, but it is mesmerizing, with a lot of detail. I did get a bit tired of the technical aspects of weapons and trooper movements, but overall, the characters are likable (or hate-able, as the case may be), and very clear which are heroes, and which are villians. 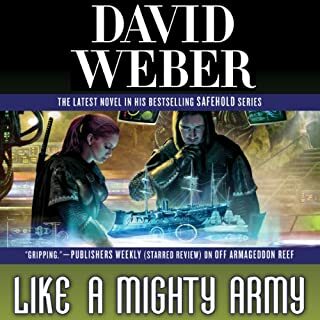 The strengths: An extremely original premise sets up an interesting world for Weber's typical story of technological and military progress in the face of forces designed to slow or stop it. 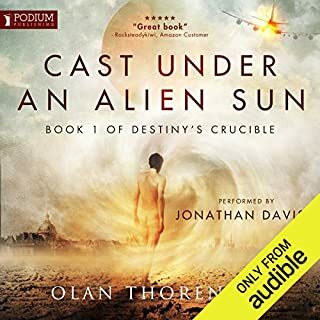 Additionally, the story is quite engaging and generally well-written, despite the fact that this is clearly the beginning of a very long series and that the plot advances quite slowly relative to the length of the book. 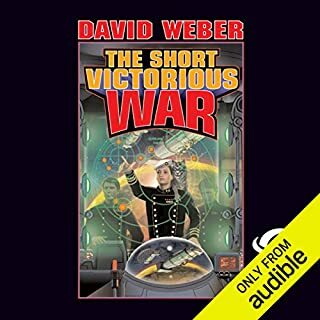 And, if you like history, especially military history, you will very much appreciate Weber's incredibly deep knowledge of the way that gunpowder was milled or cannons fixed to their carriages, and how that affected the ability of armies and countries to do battle or act as centers of commerce. 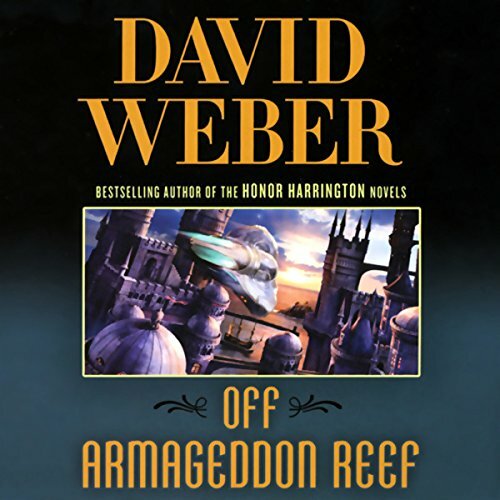 The weaknesses: Weber uses many of the standard tired narrative elements of both science fiction and military technothrillers in this book. For example, there are many long, and sometimes suprisingly complicated, technical descriptions that are presented as the musing or lectures of various characters ("Capt. Thundermountain thought of the advantages of using two rollers to mill grain. By reducing heat that caused grainocentisis, this would change the way flour production worked forever!" - except for 10 minutes at a time). 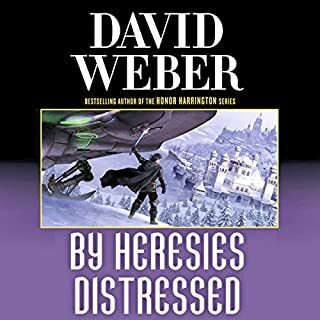 Additionally, Weber draws characters with broad strokes, the bad guys tend to be pretty bad, the good guys very good; and there is little human emotion or interaction among the characters aside from "manly virtues," characters may respect, fear, or honor each other, but rarely have more complex interactions. There are also some occasionally repetitive or annoying word choices ("thunderous thunder," the fact that everyone is always cocking their eyebrows). 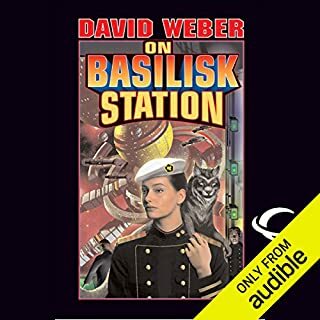 I downloaded this book thinking it was Deep Space Sci-Fi along the lines of the Hyperion series. The first chapters are just then. And then the remaining endless hours are long drawn out politico drama set in a pre-industrial human world. Seemingly every chapter introduces another three political figures and deepens the plot--or so I suppose. Frankly I lost interest in the dramas of 17th & 18th century type people. What it does do nicely is give a concise history of 17th & 18th century warfare tactics and developments. But I didn't download this for history, I downloaded it for thought-provoking sci-fi. Lastly, as if the history lesson were not enough to put me to sleep, the unstoppable main character whose super powers are unmatched in this luddite world does not even bring the slightest bit of tension or excitement to the story. This should have been a great start for a series. Believable characters, decent plot, enough action to keep one entertained. The problem is that it drags on for 9 books without really resolving the conflicts and dangers spelled out in this first book. Maybe I shouldn't blame the author because I bought all 9 but I sure can't see a tenth book bringing the series to a close in a way that makes sense. At least you get of lot of time listening to each book. Perhaps I should look at this as a Political Science version of Lord of the Rings without the magic and without anybody finding the ring. Will I buy the next one if it comes out? Probably it is like the bad relationship where there is just enough attraction to keep from breaking up. Three and a half hours in and I am still getting long info dumps. We are told things for countless minutes, get a sentence or two from a character and than more telling by narrator. I also hated the whole premise. The fact that that humans would wipe out there memories so as not to remember an invading superior alien race and install a religion to keep themselves from technological advance and avoid detection from said alien race, just irked me to no end. That is not the human race I belong to. 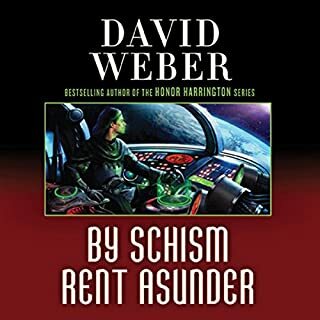 I was also expecting a more technological society, it is David Weber and look at the cover of the book. Instead it is a medieval society. I did not finish this and I will not continue the series. This is not only not a new concept, but it could have been handled so much better. A story about people finding out that they have had their memories wiped and had a false religion with false demi gods installed would have been a lot more interesting.